It all began back in 2004 when Best Buy went national with its Geek Squad tech support. Their mode of transport? A Volkswagen Beetle. But now that’ll be coming to an end because Best Buy wants a car that’ll be more “geek-chic.” According to USA Today, Geek Squad “agents” will begin driving a fleet of Toyota Prius C hybrids. For now, however, 1,000 Prius Cs are about to hit the road as the new Geekmobile. According to Chief Inspector Nate Bauer, the company cars have always been the Geek Squad’s . “It’s always been about geek-chic and us being cool but still knowing our stuff,” Bauer stated. But does retiring the Beetles have anything to do with the VW ? According to Bauer, no. 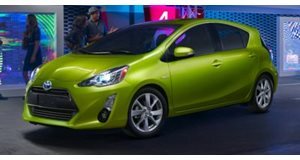 The Prius C, in his opinion, combines sustainability with technology. The decision to go with the smaller Prius C instead of the standard Prius was done to reduce emissions even further. The smallest hybrid Toyota currently makes is expected to produce about half the emissions of the previous Geekmobile. 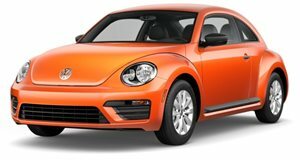 Volkswagen has launched their completely redesigned Beetle in a quest to ditch the previous generation's "chick car" reputation.